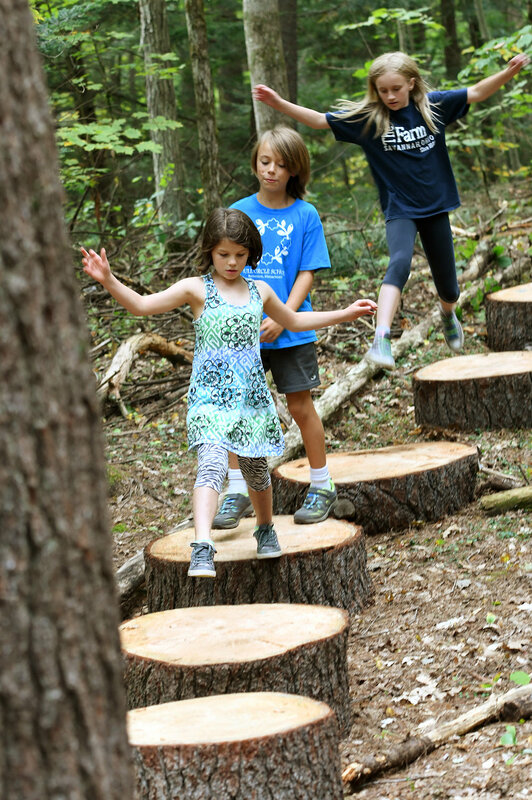 Full Circle School, a private school on Parmenter Road teaching 22 students from kindergarten through sixth grade, recently incorporated a new Tree Walk natural playground. The playground includes a pathway of tree trunk slices that step up to a limbed tree used as a walking bridge, as well as a downed tree with seats cut into it to simulate a rocket ship. John Friends, co-director and instructor at Full Circle School, said he had seen natural playgrounds in England and Canada, but was unsure of how to bring one to Bernardston. Friends didn’t think the school could a afford to hire a company to build one, but then last year, the playground seemed to almost start building itself. First, the tree now used as a walking bridge fell, and staff limbed the tree so the children could play on it. The same happened with the tree that is a pretend rocket ship, with a parent cutting seats into the trunk. However, the most recent development — the pathway of tree trunk slices — came within the past month, after another tree needed to be removed. “I was out at just the right time to see this tree cut into sections,” said Bill Copeland, who assists with Full Circle School’s science program and helped build the Tree Walk. “They were just big enough to look like they could be manipulated. It just seemed like an automatic source of entertainment for children.” Copeland drew a diagram of what the Tree Walk might look like, which Friends approved, and worked for weeks on moving approximately 50 tree trunk slices into place. Friends said the school was started by Michael and Rebecca Muir-Harmony in 1973, moving from Putney, Vt., to South Deerfield and eventually settling in Bernardston in 1975. It operates with two full-time teachers — Friends and fellow co- director Heather Leeds — as well as several part-time instructors. Full Circle School’s students come from across Franklin County, and experience a curriculum that involves only one standardized test each year, extensive writing time, and grading based on student self-evaluation. With the Tree Walk, Friends and Leeds agree, children can socialize while spending time connecting with nature and simply having fun, something that’s attractive for Full Circle School parents like Pillsbury. “I want my kids to feel like that, that’s there still time to have fun,” Pillsbury said. “They don’t have to be done having fun. The Art History Fair is Thursday, March 9th at 5:30 pm, and open to the public. 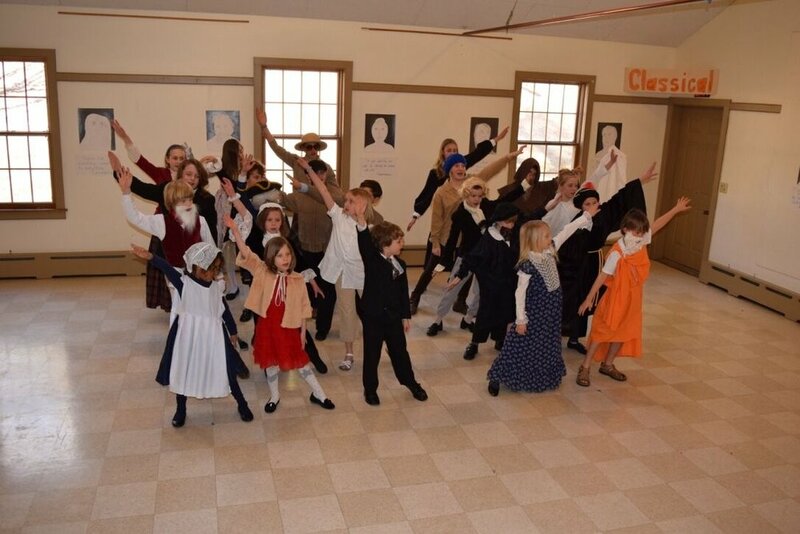 Each child will present a first person narrative speech on their artist and afterwards the children will sing a few songs which are performed to choreography.